A couple of years ago I had the good fortune of sitting between Brandon Sanderson and Dave Wolverton (aka David Farland) during a booksigning. Throughout the evening I was able to pose questions which they graciously answered. Brandon advised me to attend the large scale science fiction and fantasy conventions in order to network with authors, agents, and editors. Last month I got my first taste of the pagan ritual that is the sci fi/fantasy convention at Mountain-Con 2008. This was a local convention, so there were no agents or editors in attendance, but there were plenty of local authors, both up-and-coming and breakthroughs like the Brandons Sanderson and Mull. I wanted to promote my book Orlando and Geoffrey, so I contacted the committee to find out if I could sell copies at the convention. They responded with two alternatives: I could purchase dealer space or I could try to be added to the guest list. I didn’t want to invest money in a dealer space and end up missing out on the writing workshops, but I didn’t feel like I belonged on a guest list with the likes of the two Brandons, either. So I plopped down the registration fee and went as a regular fan. The first day I attended workshops led by Paul Genesse, Rebecca Shelley (published under the collective pseudonym R.D. Henham), Eric James Stone (whom I also met at the aforementioned signing), and Patrick Tracy. I spoke to them between workshops and swapped books with Rebecca. I felt like my place was on their side of the table, and I intend to see that happen next year. A range of activities were going on all night long, so there weren’t that many people up and moving at 9 AM on Saturday when Brandon Mull gave his main address. That worked out nicely, because he went around the room and had us introduce ourselves and explain why we were there so that he could tailor his remarks accordingly. That gave me a chance to bring up Orlando and Geoffrey and talk about my experience as a book buyer as well. When I came back to his table at noon to get a couple of books signed he recognized me and we talked about having an event on campus for him. We have exchanged e-mails since then, but have not firmed up any plans yet. I attended Brandon Sanderson’s afternoon workshop, then had him sign my copy of The Well of Ascension. After grabbing a bite to eat I went to Sanderson’s main address on how fantasy enthusiasts do themselves a disservice by trying to be assimilated into mainstream fiction on terms not of their choosing. That was followed by the recording of a podcast Sanderson does with Howard Tayler and Dan Wells for their website www.writingexcuses.com. 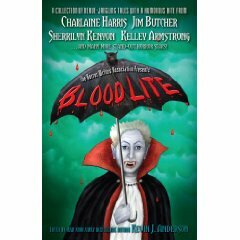 They recorded four episodes featuring guest authors John Brown (whose book Servant of a Dark God is forthcoming), Brandon Mull, and Eric James Stone (who has a piece in the new seasonally apropos anthology Blood Lite). A two hour workshop conducted by John Brown with Sanderson’s assistance capped off the day. All in all, I got some writing tips from authors I respect and did some useful networking, so I consider it money and time well spent. Mountain-Con was a nice introduction into the convention circuit for me, and I think I’ll be coming back for more! Regrettably this book will not join Chabon’s extensive list of best sellers and award winners, but what is the point of garnering all of those accolades except to be able to publish a book like this? Maps and Legends is ostensibly a collection of essays on the dual (and sometimes dueling) arts of reading and writing literature, but the overall effect is greater than the sum of its parts. The whimsical cover (I’ll elaborate no further; find a copy and discover the secret on your own) and quirky acknowledgments page are perfectly suited for this marvelous and marveling book. I cannot claim Sir Arthur Conan Doyle or M.R. James, authors discussed by Chabon, among my own influences, but I have added Philip Pullman and Cormac McCarthy to my reading list as a result of his thorough examination of their work. I can also relate to Chabon’s treatment of the genre and sub-genre issue. I’ve dealt with this as an author who never intended to write fantasy adventure and science fiction stories. I’ve also dealt with it as a book buyer; there have been books I have bypassed altogether for the sole reason that I could not fit them tidily into the store’s system of classification. That is a shame we are trying to redress. Even the term “Fiction and Literature” seems double-edged and derogatory. Books ought not to be constrained by classifications, and Maps and Legends will challenge any and all classification systems. In response to Amazon’s demands that print-on-demand titles sold on their site also be published by their in-house publisher, PublishAmerica has cut prices in half on their own site. That means now is a terrific time to order a copy of Orlando and Geoffrey! Never heard of it? Never fear! Click on the page Books by J.A. Clemens for more details. Then click over to PublishAmerica and place an order before the sale ends on Monday! It was a long and unpredictable road from the Preservation department at the Marriott Library to the General Book department at the Campus Store, in spite of the fact that the two buildings are neighbors at the University of Utah. I loved my job in Preservation but it was only a work study position, which meant I had to leave when I graduated and I had hardly begun the training necessary for a career in the field. I already had a family to support when I graduated, so more schooling wasn’t a very attractive option. Neither was going into the foreign service, which had been my plan when I decided to study History and Russian. I knew I wanted to be a writer, but I also knew I needed a steady income, so I took a job with Hertz, the first company that offered. What do books and rental cars have in common? Unless one gets left in the other, not a whole lot! I applied myself nonetheless, becoming a rising star (entry level to branch manager in less than a year) that quickly burned out (I quit less than a year later). I assumed that my education and work experience combined made me a desirable candidate for a multitude of positions, so I quit without lining up a new job. Huge mistake! My education actually priced me out of multiple opportunities, while my experience wasn’t nearly as valuable as I anticipated. I couldn’t get a job! I sold cell phones for a couple of months, picked up some substitute teaching gigs, and spent a summer basically unemployed. One of my more memorable job applications was for a position at the county library: I filled out the application, took the skills test, and waited for an invitation to interview. Instead of an invitation, I received a letter informing me that I ranked 11 out of 13, and that the top five candidates would receive interviews. That was a blow to the ego! I could live with not being in the top five, but I certainly didn’t expect to finish near the bottom! A couple of weeks later, I received another letter from the county. It explained that a computation error had resulted in a mistake in the rankings. Aha! That made a lot more sense! The letter went on to explain that my new rank was 13 out of 15! They actually used more of my tax dollars (okay, cents) to send me a letter notifying me I was even further from consideration! I still have the letter, naturally! Our finances reached a critical point, and there was nothing else I could do but take an entry level position at Target. There I was, a college graduate, mopping the Bakery floor alongside high school students making the same wages. I started working again (the only point that mattered to my family) on September 12th, 2001, so I couldn’t feel too sorry for myself right then. That crept in later, as I spent four years working in different departments, always on the grocery side of the store, with no hope of advancement. What do groceries and books have in common? More than rental cars, as I will shortly explain! My book Orlando and Geoffrey was published while I worked for Target, and I tried to get them to stock it, but they rarely carry items of “regional interest.” I decided to go to graduate school for an MFA, but then I ruptured my Achilles tendon, and that plan was set aside. I applied for more jobs in the book industry – I had a lunch interview with Gibbs Smith Publishers which seemed promising but never went anywhere, and a fine interview at Barnes & Noble, but they only offered me a position in their cafe (although they did stock and sell my book!). I didn’t know how I would make the switch from food to books. On a long shot I answered an ad for a position in the Merchandise department at the University Campus Store. Had I been able to work in soft goods at Target I’d have felt better about my odds of getting the job, but I went for it anyway. The interview went extremely well (Jaima Dyer, the Merchandise manager, also had rental car experience), and I was offered the position! As it turned out, the position was responsible for running the candy counter in the store, so I had the necessary experience after all. That got my foot in the door of the bookstore and brought me back to the university campus, nearly full circle. From Merchandise I moved to Shipping and Receiving, and then, after our store dropped its contract with Ingram, I was able to move into a newly-created Book Buyer position! Now I work in General Books with Drew Goodman, a fellow History major and published author, who likewise started in this store running the candy counter! Yet another example of the truth being stranger than fiction!